When the Chang'e 4 probe successfully landed on the far side of the moon, Zhang He, executive director of the probe project, burst into tears. The moment was captured by a photographer and the photo quickly went viral. For Zhang, of the China Academy of Space Technology, it meant years of hard work finally come to fruition. "I feel much different when I see the moon now," she told China.org.cn. "Because on it rests the crystallization of works by tens of thousands of aerospace engineers over dozens of years." On Jan. 3, the Chang'e 4, comprising a lander and a rover, touched down at the preselected site on the far side of the moon and began its analysis of a surface said to differ markedly from the side of the moon that is visible from the Earth. The Chang'e 4's mission is unique in that it is the first to land on the far side, which may hold the key to fundamental mysteries about the moon's formation and earliest history, according to Zhang. It will also be an ideal observation site for low-frequency radio, she noted. The far side, also known as the "dark side of the moon," remains comparatively unknown, with a different composition from sites on the near side where previous missions have landed. Chinese space experts chose the Von Karman Crater in the South Pole-Aitken Basin as the probe's landing site. The area available for the landing was only one-twentieth that of its predecessor the Chang'e 3, and is surrounded by mountains as high as 10 kilometers. The South Pole-Aitken Basin is the moon's largest and oldest impact crater. According to previous NASA reports, the basin is thought to have been created by a huge impact during the moon's early years that broke through the crust and dug up rocks from deeper underground. The spacecraft is able to study these rocks to learn about the formation of the moon as well as the Earth-Moon system, said Li Fei, one of the designers of the lander. The complicated geographical features of the moon's far side made the landing more difficult than previous missions. The landing equipment of the U.S. and the Soviet Union's unmanned spacecrafts had no capacity to hover or avoid obstacles. In the case of the Chang'e 4, scientists have developed AI-enabled technologies to accurately survey landforms and identify the safest spots on which to land, said Zhang. The probe is equipped with high-precision and fast-response sensors that are capable of analyzing its motion and the surroundings, Li explained. In May of last year, China sent a relay satellite to the halo orbit around the second Lagrangian point of the Earth-Moon system to set up a communication link between the Earth and the moon's far side. It is the first communication satellite to operate in that orbit. Its Chinese name, Queqiao, meaning "Magpie Bridge," comes from a Chinese folktale about two lovers who are reunited once a year when a flock of magpies forms a bridge across the Milky Way. Chinese space experts hope the Queqiao will be able to assist other countries that intend to send probes to the far side of the moon within the relay spacecraft's life span. According to Zhang, the international community widely advocates cooperation in lunar exploration, a cause mainly aimed at making scientific discoveries and deepening people's understanding of the universe. Cooperation can improve efficiency in space exploration, as it helps individual countries overcome financial and scale constraints by pooling knowledge and resources, said Zhang, noting that this cooperation has to be based on mutual respect and trust. The Chang'e 4 mission highlights this kind of international cooperation. Apart from nine scientific payloads developed by China, the mission carries four pieces of equipment developed through international collaboration, Li Guoping, spokesperson for the CNSA said at a press briefing on Jan. 14. Li Guoping, who is also CNSA's secretary general, said that after issuing a collection notice in April 2015, the administration received nearly 20 applications from more than 10 countries to place payloads in space. "Finally, we decided to carry four, those from Germany, the Netherlands, Sweden and Saudi Arabia, on the Chang'e 4 lander, rover, relay satellite and Longjiang 2 microsatellite." 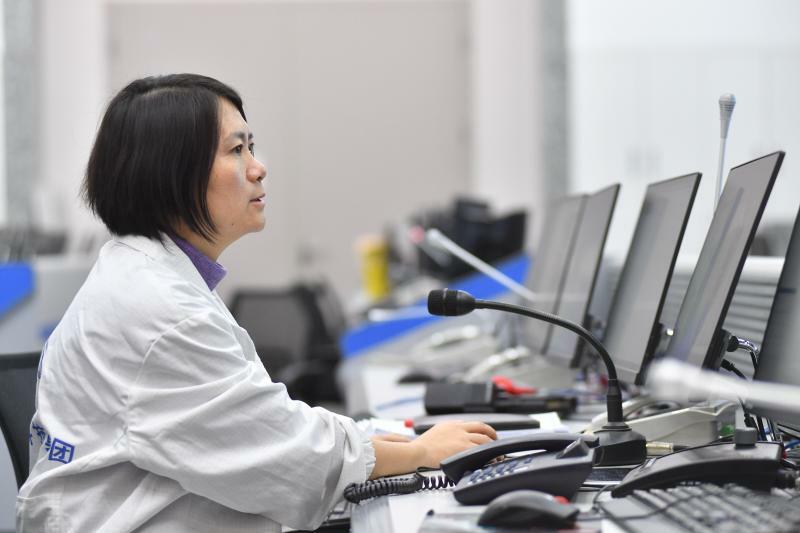 Li Fei said, "While collaborating, we've learnt much from our European partners who gained greatexperience in developing payloads for deep space probes and the data will be shared and studied by Chinese and foreign scientists." Zhang said the participation of other countries is welcomed in the fourth phase of China's Lunar Exploration Program (CLEP), the major goal of which is to establish a science and research base near the moon's South Pole. "We hope to jointly develop and carry out research tasks to make full use of the base for more scientific and technological achievements," Zhang said. Building on Chang'e 4's historic landing on the moon's far side, China will deepen its space exploration and venture further into the unknown. China's current lunar program includes three phases: orbiting, landing, and returning. According to Wu Weiren, an academician of the Chinese Academy of Engineering and chief designer of the CLEP, the first two phases have been accomplished, and the next step is to launch the Chang'e 5 probe to collect 2 kilograms of samples and bring them back to the Earth. Zhang said the Chang'e 5 lunar sample return mission will be launched by the end of this year, marking the success of the first three phases of the CLEP. Asked about China's first exploration mission to Mars announced by CNSA's Vice Director Wu Yanhua at the briefing, Zhang said the mission is expected to implement the three-stage plan of "orbiting, landing and inspecting." A Mars orbiter is expected to launch around 2020, with a lander that will reach the surface and send out a rover to inspect the red planet, Zhang said. The Chang'e 4 team talks about the historic landing on the moon’s far side and the future of the lunar exploration project.